In my last post, I said I have become the care-giver for my wife. I must say, at first I was a bit over whelmed. I had no idea what was going on. Our lives changed quickly. I was bombarded with questions and forms to fill out. People would call me on the phone, and with the stress, my hearing went down. For those of you who are new to my blog, I have problems hearing. Have had problems hearing for most of my life. All of this that was happening was very stressful, and so of course talking on the phone added to the stress. Fortunately, we have a fantastic support system. My wife’s brother and his wife are wonderful. Plus a whole lot of people were praying for us, and still are. But to be honest, I still have stress, but it’s not nearly as bad. One night as I laid in bed, worrying, I had a dream. I would like to tell you that dream. I dreamed there a small house, all alone in the middle of an open field. The house was worn and battered from the weather and neglect. There were no longer any paint on the outer walls of this house. Suddenly I found myself in the living room of this old house. In the living room was a large pile of rocks. These rocks were like stones found in a river. They were smooth and clean with no sharp edges. I picked up two stones. One in each hand. Both stones had the same writing on them. But I couldn’t read them, because they were written in Hebrew. And I don’t know Hebrew. 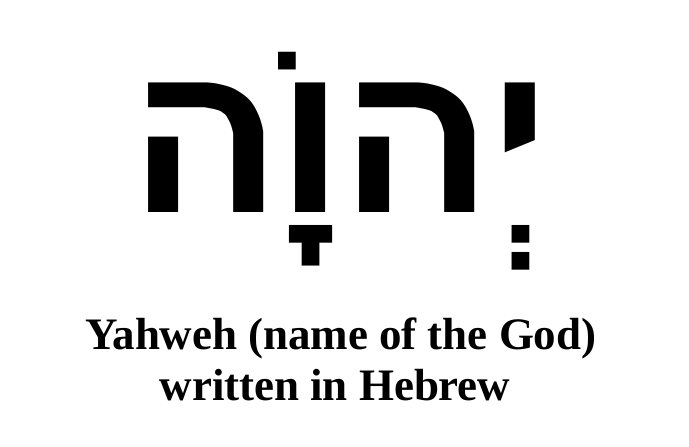 Under the Hebrew, were English letters. But I still couldn’t read it because it was written so it would sound Hebrew phonetically. Then, one word lit up. Yahweh. At that moment, a single thought came to mind. “God With Us.” That was the end of the dream. You can have a lot of different thoughts about that dream. Even though God will not leave us or forsake us, we will leave Him sometimes. The Bible is full of people who have done that. The first to do this was Eve. The second was Adam. Since then, everybody has done this. You, me, everybody. It’s been over a year since I wrote anything. A lot has changed. Some for the bad, and some good, and none of it was planned. In 2017 my wife and I decided we wanted to start a ministry for the Hard of Hearing (HOH). Also about the beginning of the year, 2018, I read a book on hearing loss: Odyssey of Hearing Loss by Michael A. Harvey. It was the best book I did not like. It was a good book in that it told the truth about hearing loss. However, I did not like the book because it told the truth about hearing loss. It brought up memories and put me in a bad mood. I wrote a post called Audism. (Not Autism, but Audism) After I wrote the article, I realized my bad mood was in my writing. So I never published it. But my wife and I were still going to different churches and even a Christian camp to talk about the needs for those with hearing loss. The HOH ministry was not for the Deaf because the Deaf already have churches and social gatherings. The hard of hearing often don’t have churches or social gatherings. Imagine having difficulty hearing. Now imagine being in church. You can’t hear well. You use an amplified system and that helps, until they show a video. You understand maybe only a little of what the video says. Now let’s say your hearing gets worse. You can no longer function in the hearing world. But you also don’t know ASL, (American Sign Language) so you can’t function in the Deaf world either. You become alone, so you stay home. You start avoiding friends and family. My wife and I wanted to change that. Another thing I wanted to do, was to go back to school to learn computer support. Years ago I was trained in computer networking. But since they don’t use Windows 98 anymore, I decided to be retrained just in the basics, so I could get a part time job. Most people only know me as a mechanic. But I also have a degree in computer networking and was certified as an electronic technician. Then my wife’s health declined. I became a caregiver. The whole dream of starting a ministry stopped. I dropped out of school. Everything changed. I might write about this someday, but I might not ever write about it. I haven’t decided. There is another thing that has changed. Something I can’t explain. I can’t explain it, because I don’t understand it. But I know it’s happening, and I believe it is a good thing. A few years ago I studied and wrote about the book of Revelation. It took me a year to get through it. Many times I wished there was a Jewish rabbi sitting right next to me to explain Revelation. There is so much of it that links to the Old Testament. For example, the altar in Heaven mentioned in Revelation 9:13, is the real thing. I believe the altar in Exodus 27:1-8 is only a replica of it. I know God is absolute. His love is absolute. His judgment is absolute. His word is absolute. He is absolutely trustworthy. His Holiness, and His might, is absolute. I have seen evidence of this. So recently, this thing that has changed, is that I have an increased love for Israel. It makes no sense. Or does it? 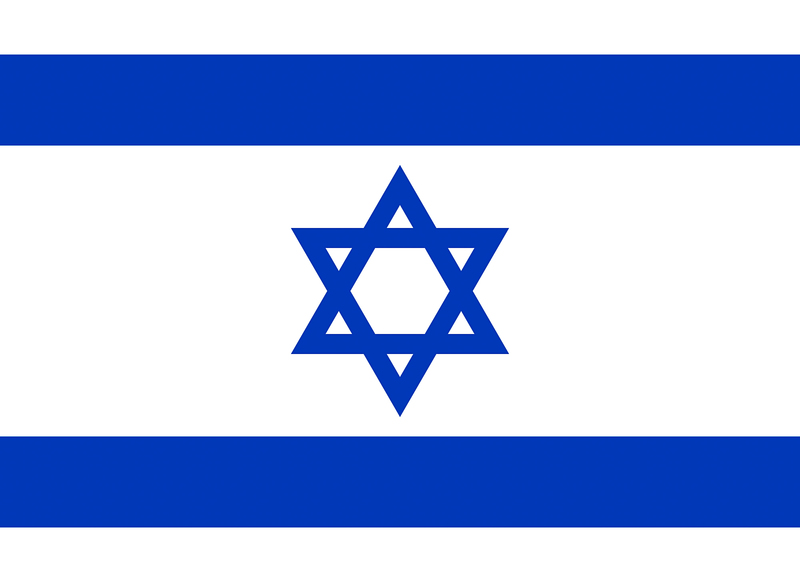 Many of you have heard that Israel belongs to God. Many people, including myself, are developing a growing interest in Jewish roots. If it wasn’t for the Jews, there would not be any Christians. I believe that the present day Israel is the Israel of the Bible. It seems like there are Gentile believers in Christ, that are being led by God to love Israel. There have always been Gentiles who love and support Israel and the Jewish people. But I believe their numbers are growing. It’s a sense I have. I am finding ads on the internet to learn Hebrew and other things. I am finding many ministries of not only Gentiles reaching out to Jews, but also Jews reaching out to Gentiles, for Jesus or Yeshua, as He is called in Hebrew. There is a Jewish ministry that is translating the Bible from the Hebrew point of view instead of the Gentile point of view. They are doing this to help both Jew and Gentile believers in our Lord, our Messiah, understand the scriptures. I already ordered one of these Bibles. It will be a while before the first one is published. I know this a little ‘disjointed’. I have a lot on my mind. I’m hoping to start writing My-Thoughts again on a regular basis. Who is this Jesus? What is Christmas all about? Does anyone know anymore? If you watch a modern Christmas movie on television, you get romance and… something. I don’t know, they often talk about some kind of ‘Christmas magic’. Whatever that is. But you never hear about Jesus. Is there anyone out there that knows anything about Jesus? Or even knows His name? What is interesting is that some people who have heard the name of Jesus, are angry about it. They are angry with not only God, but also with His Son, Jesus. They say with much anger, that there is no God, and they mock the name of Jesus. What is even more interesting is they say that since they do not believe in God, or Christ, the Lord must not ever be mentioned. Not even for Christmas. 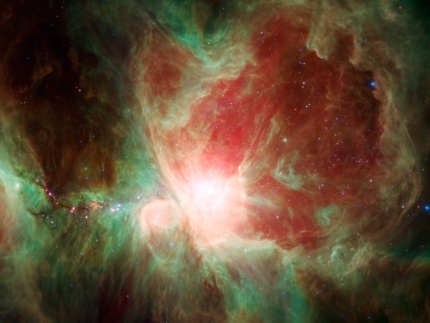 Often they say they are too smart to believe in God. Brain dead hypocrites! They place Santa Claus at the highest place of honor at Christmas. Are they saying that they are so smart as to not believe in God, yet they believe in Santa Claus!? But who is this Jesus? What about the angels you might hear about for Christmas? Luke 2:8-12 talks about how the shepherds were terrified by just one angel. In Matthew 26:53 Jesus said He could ask for thousands of angels for protection and it would happen. In Genesis 19:21 an angel agreed not to destroy a whole village for a little while. All through the book of Revelation, it talks about angels going to war, destroying all kinds of things and killing people. Also in Revelation 21:10-14 there are twelve angels guarding the the gates of New Jerusalem. Angels are strong powerful creatures, who can do great harm and destruction, if they choose. They can be very scary beings, not cute wimps like in some pictures. When Jesus was born in the manger, He wasn’t surrounded by cute smiling cows. These were big beasts with cow snot dripping from their nose. And the sheep were not cute little cuddly fuzzy things. These too were farm animals that may be dirty and smelly. Also don’t forget the rats. I’m sure there were rats. This is what I believe Jesus was surrounded by, when He was born. Yet these very great and mighty angels bowed down and worshipped this small new born child. Why? Because as great and mighty these angels are, they knew this small child named Jesus is greater and mightier than any of them. Jesus is LORD of all, and nothing can change this fact. John 1:1-5 says the Word was with God, and was God, and created everything. John 1:14 adds, the Word became human and that He is God’s one and only Son. No wonder the angels bowed and submitted themselves to Jesus. Jesus is God! 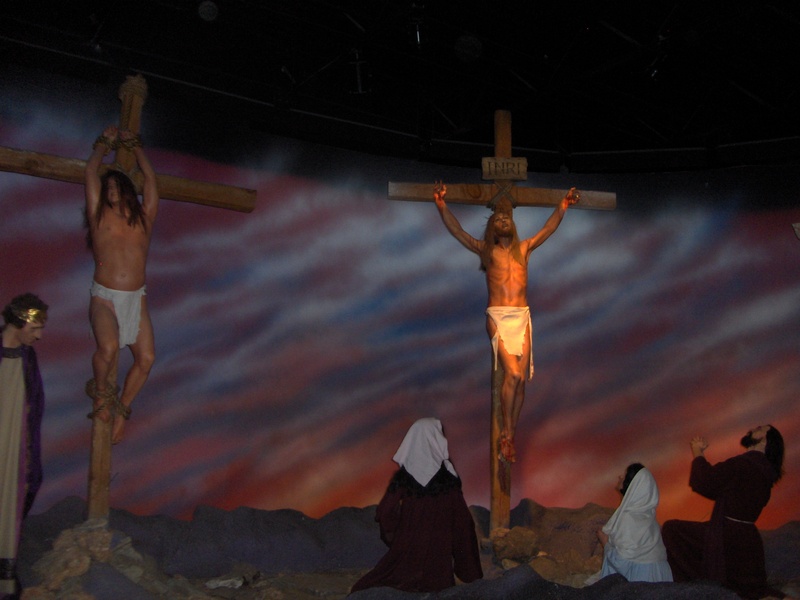 And yet He loves us so much, He became flesh just so He could die for our sins. Then He rose from the dead, with His own body, breathing and eating with others, then went up to Heaven. Christmas is the celebration of Christ’s birth. I know some will say that Jesus was never born in December. I know. So what? It doesn’t change the fact that on December 25th we still celebrate His birth. Christmas is all about Jesus, our Lord. A few years ago I was in a coffee shop when I noticed a Deaf woman signing to a friend on a tablet. After she finished, I was able to start up a conversation with her. This was before I learned American Sign Language (ASL). We communicated by way of a few signs and a lot of typing on the laptop I had with me. Her sister, however, was determined (by hearing people) not to be deaf enough for deaf school or for learning sign language, and therefore was neither deaf nor hearing and had very few friends. The problem is that hearing people can talk and understand each other. 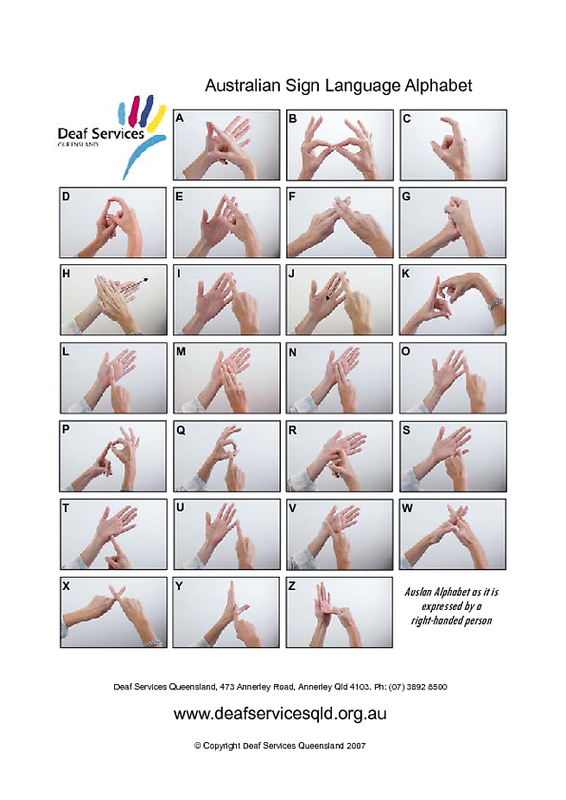 Deaf people can sign and understand each other. However, the hard of hearing can speak but not hear well. This isolates us from many hearing functions. But most hard of hearing people do not know any sign language. This isolates us from the Deaf. A real hatred for the hearing had grown between the two sisters. So why did this woman seem so pleasant? Jesus! The Lord had shown her mercy and now she can show mercy to the hearing people. She no longer hates them. Last year, when I was studying ASL, I was amazed at how well our Deaf teacher put up with some of the stunts the hearing students pulled. But then, I do believe she is a Christian. And I hate to say this, but even though I am also a Christian, I don’t believe I could have kept my cool like she did. I have been going occasionally to a Deaf church in a near by town, not a translated service but a Deaf pastor signing for his Deaf and deaf congregation. This church service is in an upstairs room inside of a large hearing church, but all are welcomed, and often there is someone who will speak for those who do not know ASL. How does this Deaf pastor explain to hearing people the needs of the Deaf? Since I am trying to start a ministry to bring the hard of hearing back into church, I thought I’d ask. However, my ASL wasn’t too good, and when I did ask, I realized that I may have insulted the man. He thought I wanted to help him, when instead I was asking him for help. I remembered all the times over the years that I was misunderstood. Being thought of as lazy or stupid because I didn’t hear properly. Being looked down upon. Many people have the misconception that the deaf and hard of hearing are helpless, that we don’t know what we need, or that only hearing people understand our needs. Of course, this is not true. To make it worse, sometimes hearing people don’t believe us when we tell them our needs. A few people have even looked down on the deaf and hard of hearing with pity or contempt. Thinking about all this, I knew I had to make it right with the pastor in Everett. So I wrote a long letter asking for forgiveness. I am a hard of hearing man, between both hearing and Deaf worlds. When I get this hard of hearing ministry going (God willing), I will be working across culture and sub-culture lines. I will need to give and receive a lot of grace, mercy and prayer. It is my hope that through the ministry, and through showing mercy, I will also be able to make church more accessible to the hard of hearing. Democrats are against Democrats. Republicans are against Republicans. And of course they’re against each other. What is going on? Why is this happening? It seems like there are Americans who want to tear America apart. Why? I believe I know why. And what’s more, I believe God even warned us about it. The nation of Israel belongs to God. Yes He has punished that country from time to time, but He also said He would curse any who shows contempt towards Israel. I was amazed at how people were reacting about the presidential election back in November 2016. When Trump won the election, many people were very upset. On the west coast of the United States, people in Washington State, Oregon, and California said they wanted their state to leave the nation. Why? If you ask them if they love their country, they would most likely answer ‘Yes’. So why would they want to tear their own country apart? Many if not most of these people believe that Israel must be divided into Israel and Palestine. Many of the same people as well as government officials work hard for this ‘two state solution’. Some will do whatever they can it seems, like to make Israel the bad guy. They may say they support Israel. But their idea of supporting Israel is tearing that small country in two. So now The Lord God put it into their hearts to tear their own country in two. And it seems they don’t understand. The way the United States has been treating Israel, I’m surprised we haven’t fallen yet. I’m glad we haven’t. But from what I’ve seen from the presidential election in 2016, I wonder if when God does judge us and we fall, how many Americans who claim to love America, will be OK with this. How many will not understand. God may seem slow in keeping His promise, but He does keep them. The God of Israel is God. He is Lord. I believe in the God of Israel and His son Jesus Chirst. Years ago I knew a man who at first was a nice man. At first we were friends. Then I told him about the Lord Jesus. This man’s then showed me hate. Lots of hate. Hate for most anything Godly. What’s more is he seemed proud of his hate. I finally broke all contact with him. A few years later, he died of heart problems. I find the end of his life, very sad. He proudly mocked Jesus and all who believes in Him. He would insult and down grade us with much pleasure. Now he’s gone, and not only that, he even lost his soul. Sad. What a waste. I also known another man who was a Buddhist. He was telling me how great Buddha was. So I told him about Jesus. He was interested and asked me questions. I did the best I could to answer them. Finally he was telling me that Buddha was every bit of a holy man as Jesus. I told him “No, Jesus is Lord. He is the Son of God.” Then with ‘great authority’ this man told me that Jesus never told anyone to do anything. Since I would not turn from Jesus, this man wouldn’t have anything to do with me anymore. A third man, also a good man. However he told me he wanted nothing to do with God. All three decided they did not want God. I understand that it’s their choice. I also understand when Jesus said, “You can enter God’s Kingdom only through the narrow gate. The highway to hell is broad, and its gate is wide for the many who choose that way.” I understand most will not make it to Heaven. Most will not have ever lasting life. I also understand America is turning away from God. So should we stop telling people about Christ? Should we give up? How much time, money and effort should we use, bringing people to Christ? In the mid 1970s there were billboard signs saying “I found it. And you can too.” It was suppose to be a way of bringing people to Jesus. Most people will say it was a big waste of time and money and that it didn’t work. But is this true? In about 1972 or 73, people started talking to me about Jesus. In 1976, I saw the I found it signs. I called the phone number on the sign and agreed to meet with someone. That evening I decided to give my life to Jesus. The next day I told many people that I decided to follow Jesus. More and more people are becoming hostile to God. But please do not give up. There are still a few people around who will come to know the Lord. 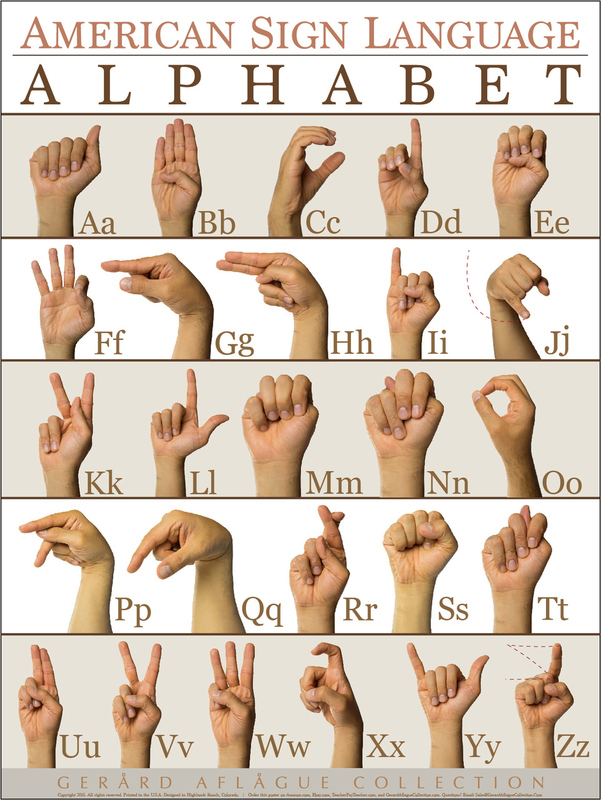 Last year I was reading a blog about the deaf and how many of their relatives won’t learn ASL. I myself have seen this. But as I read farther, I realized they were talking about a different ASL than what I thought. They were talking about Australian Sign Language. I was thinking American Sign Language. Interesting that two countries in different parts of the world have the same cultural problems. Of course since I am an American I’ll be talking about what I learned while taking American Sign Language. I was talking with a couple of people once about why people who loose their hearing will often drop out of church. I explain that once that happens, that church could loose a valuable resource. The people said something like, “Just crank up the sound.” I told them it doesn’t always work that. Much of the time captioning is needed or other technology. They had a hard time understanding this. There is a joke that goes around the deaf community as while as the hard of hearing, is someone being on an airline and telling a stewardess that they can’t hear them saying airline safety speech. So the ‘helpful’ stewardess brings the manual written in braille for the deaf person to read. So often people are either clueless or simply don’t think. And this brings me to the American Sign Language course I’m taking. My teacher is deaf, and I’m sure she gets tried of some of the stupid thing her students say or do. I shouldn’t say stupid if someone doesn’t know any better. But after awhile, I believe I would go nuts with it all. How does she put up with it all? One day I decided to ask her. But I wanted to ask in the correct American Sign Language grammar. (It’s different from English) So now I’m thinking, “OK. With people, you have patience how?” Then the answer came to me. I don’t need to ask my teacher. The Lord just told me. I instantly thought patience = love. Love = patience. It’s been a long time since my last post, and as you can see, I haven’t prepared anything for our Lord’s Birthday. I am going to cheat a little (Did I just say that after praying?) and insert a link to a post I did before. Here’s the link. I decided to add another link here. Now I will tell you what I have been up to. I’ve gone back to school. This is my fourth time. (Last year didn’t count as I soon had to drop out due to health reasons.) I started out taking an automotive repair class, then electronic technology, then computer networking, and now American Sign Language. Since most of my life I have been repairing cars, trucks, (both military and civilian) lawns mowers, generators and many other things, I call myself an old mechanic. Many of you know I don’t hear well. A few of you know because of the type of hearing loss I have, no hearing aids can help me. And my wife and I believe it may be getting worse. Then again maybe it’s temporary. I wrote about this a few months ago. Rare Hearing This is why I decided to learn ASL. ( American Sign Language) Many hearing people tend to look down on non-hearing people. Either consciously or subconsciously. 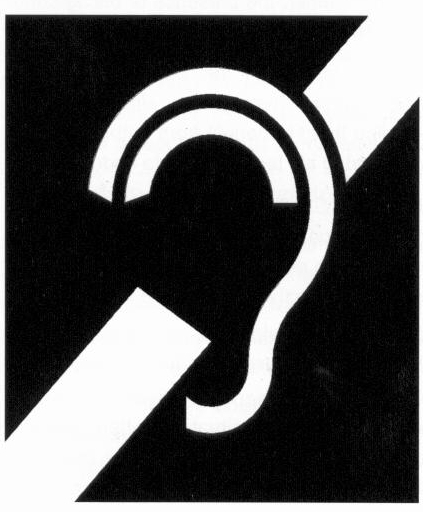 Because of this, if worse comes to worse I want to hopefully become part of the Deaf community. I have been doing my best in ASL class. My grade point average so far has been 3.9. In the United States 4.0 is perfect. I was invited to a Deaf church once, so I went. What a very humbling experience. I did a report on it for school. Here’s part of it. After that there was prayer. They even prayed that I would become fluent in ASL. I like that. The preacher then preached. The subject was on 1 Timothy and 2 Timothy. Even though the man who sat in front of me spoke for the preacher, I understood very little because his back was towards me. I was a little able to fellow along only because all the verses were shown on the projector. I was invited back and I would like to go back. But, boy do I need more learning! Anyway back to Christmas. I know it’s Christmas Eve here, but for many of you it’s already Christmas. Remember, this is Lord Jesus birthday. We are saved by grace only when we believe in Him. If Jesus were to come back right now, what political party would He belong to? I have been told at times that if Jesus came back now, He would be Democrat. Well the people who say that are wrong. Right about now some of you maybe happily thinking ‘Of course not. He would be a Republican.’ And you too would be wrong. I’m wondering if there are some who believes Jesus wouldn’t get involved in any form of political affairs since He is a religious figure. Believing that one must not mix religion with government affairs. If so, they too would be wrong. Jesus is not a Republican, or Democrat, or Socialist, or Communist. Oh, and the early Christians in the book of Acts were not Socialist either. Socialism is where the government takes (often by force) and gives some of it to others. The early Christians in Acts gave out of their hearts with love to help others. Let’s say there is someone in need. Maybe because of earthquake, flood, health problems, homelessness, you name it. And let’s say you personally care and want to help, so you give your time, or money, or both. That is what the Christians in Acts were doing. So what political party would Jesus be part of? His own! Jesus is KING. He is LORD. Besides, what makes you think He would be that impressed with anything we have? I saw no temple in the city, for the Lord God Almighty and the Lamb are its temple. And the city has no need of sun or moon, for the glory of God illuminates the city, and the Lamb is its light. The nations will walk in its light, and the kings of the world will enter the city in all their glory. Its gates will never be closed at the end of day because there is no night there. And all the nations will bring their glory and honor into the city. So the LORD will rule the world and yet there will be different nations. How this will work, I’m not sure. The only thing I can think of is the United States of America. Here we have one president, one federal government with federal laws. However we are made up of 50 different states with different laws and customs. For an example: the state of Oregon has an income tax, but no sales tax. Where Washington State has no income tax, but it does have sales tax. In Louisiana they celebrate Mardi Gras. Not so much in the other states. Also what’s legal in one state may be illegal in the next. Yet we are all united states, or United States of America. However when Jesus reigns, it will be perfect. 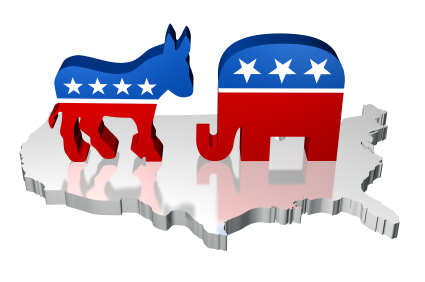 So what political party will Jesus belong to? His own. He’s KING and LORD. And that’s my thoughts. I don’t know. Like many people, I haven’t found anyone who is worthy. I almost feel like the best candidate should be Hank The Cat. 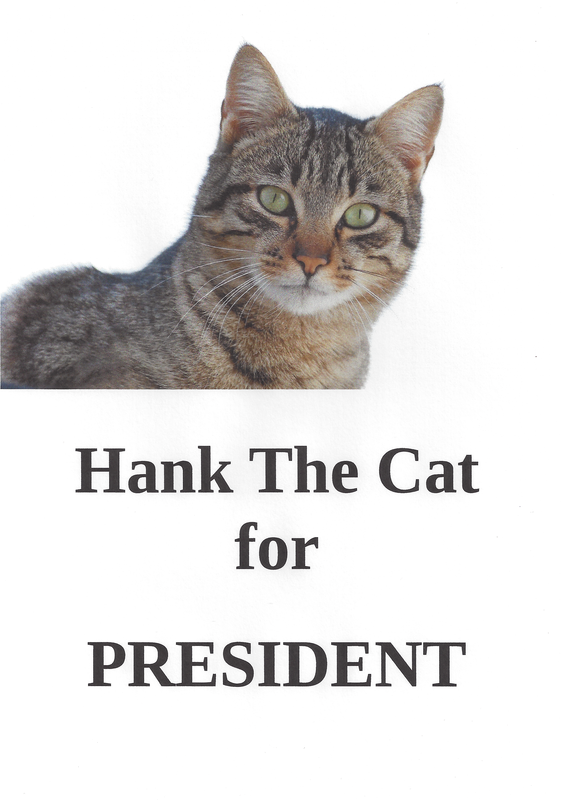 For the fun of it, I made a small poster saying Hank The Cat For President For 2016. I downloaded the cat photo form the Internet. I then brought it to a locale Hearing Loss Association chapter meeting. People loved it. Before Israel even became a nation on the map, Egypt made slaves of them and treated them harshly. God then in return, treated the Egyptians even more harshly. This has been repeated several times throughout history with different countries and people who abused Israel. So many countries who went against Israel and then fell. During World War II, before there was modern day Israel, the Nazis tried to wipe out all the Jews. They failed. There are still Jews, and now there is even Israel. But, where is that Nazi army? They’re just gone. They fell. Now it is true that Israel did fall from time to time. But only because of the sin they did. Also God aways brought Israel back to life. Where are the other armies? They’re still gone. With all this in mind, why would any Christian who believes in God’s word, want to vote for anyone who would wants to hurt Israel. I know they will say they support Israel. But they also they want a two state solution for Israel. What they are saying is, “Why yes I support Israel. I support Israel so much, I would like to rip that little country in two and give half to their enemies.” Wow, I hope I don’t have friends like that. I believe anyone who votes for someone who wants to harm Israel is like saying: “Lord please destroy us! We’re morons!” To be honest, I’m surprised we’ve haven’t fallen yet. I know of many countries all around the world are against Israel. And I know some may argue, “Is God going to make all those other countries fall?” My answer is “Why not?” I wonder if enough countries fall, if that would bring in the Anti-Christ. If enough countries fail and if people get desperate enough; they may become willing to follow someone who will lead them. That person will deceive many. That person will be the Anti-Christ. Then later a very large army will come up against Israel. And that’s when Jesus Himself will come and defeat that army. Revelation 19:19-21 That army will be defeated. They will fail and they will die. I’ve talked with people who have said that this Israel shouldn’t be here. And yet there it is, and there is nothing anyone can do to change this fact. I do not believe the LORD will not allow this Israel to be conquered, period. So who will I vote for? I honestly don’t know. But, I will not knowing vote for somebody who will harm God’s country. In my mind, that’s just stupid. And that is my thoughts. By the way Hank The Cat For President wasn’t all my idea. I got the idea from an Alaskan cat that was mayor. Here’s the link.